It had been years since I’d been to the Philippines. I barely remembered it. I was nearly 8 when my family immigrated to the U.S. to live with my mother, who had worked as a nurse in the States for several years. Last year, we visited for the first time as a family (except for my brother), and I was struck by what I saw. I knew of the poverty in the Philippines, but I didn’t realize how visible it was. In other places I’d been, impoverished areas were restricted to sites only talked about, not seen. They were places you’re warned to stay away from. 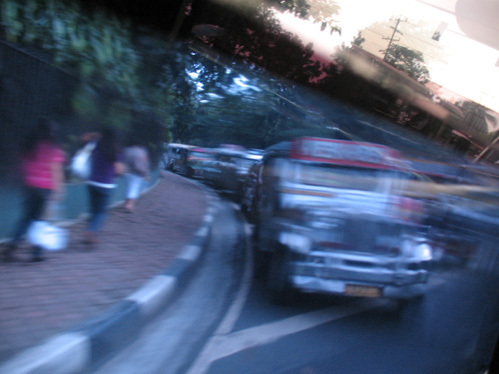 In Manila, there was no such buffer. People lived in shacks on the same street as affluent houses. I can only imagine what the recovery will be like post-typhoon (although another is said to be approaching this weekend) and what kind of Manila will surface from the rubble. If New Orleans is any indication, things are going to get ugly. Just days after the typhoon hit, people already started pointing fingers. If you want to help, you can find donation centers here.